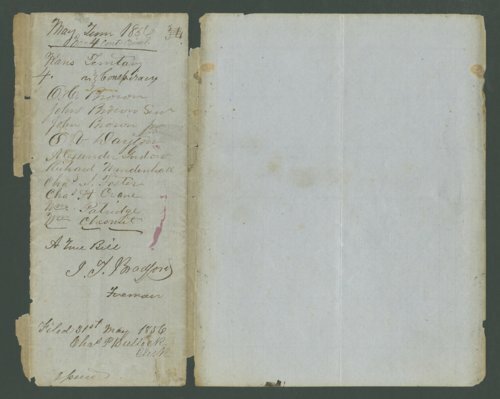 Materials relating to the case of the Kansas Territory, U.S. District Court versus John Brown, John Brown Jr., O. C. Brown, O. V. Dayton, Alexander Gardner, Richard Mendenhall, Charles A. Foster, Charles H. Crane, William Partridge, and William Chestnut, on the charge of conspiracy. People - Notable Kansans - Brown, John, Jr.